One of Rabbi Lamm’s grandchildren, Dr. Jonathan Lamm, sings Rabbi Lamm’s favorite song, V’Li’Yerushalayim Ircha, at first yahrtzeit event at the Beis Haknesses of North Woodmere. At Beis Haknesses of North Woodmere on Sunday (from left): Rabbi Maurice Lamm’s brother, Rabbi Norman Lamm; Rebbetzin Shirley Lamm; Rav Yehuda Kelemer, mora d’asra of the Young Israel of West Hempstead; Rabbi Aryeh Lebowitz, and mora d’asra of the Beis Haknesses of North Woodmere. The widow of Rabbi Maurice Lamm spoke about consolation and thanks on Sunday night, at a shiur to mark Rabbi Lamm’s first yahrtzeit. Rabbi Lamm was a best-selling author of popular works on halacha and hashkafa, including The Jewish Way of Death and Morning, which sold over 1 million copies. He was also a pulpit rabbi and an acclaimed professor. Rabbi Aryeh Lebowitz, mora d’asra of the North Woodmere shul, spoke warmly of Rabbi and Rebbetzin Lamm as members of the shul. Addressing Rebbetzin Lamm and her children, Rav Kelemer said, “I am the product of the Torah of your husband and father. “He was a master in halacha and a master of addressing issues that so many rabbanim kept away from,” and he did so with great humility and in words that were poetry. Mrs. Lamm recounted her husband’s difficult final months. In his final moments, 25 or more of his grandchildren crowded into his hospital room and sang songs and hyms of Yerushalayim. Finally, “he would no longer be in pain, he would be in peace, Hashem would take care of him,” she said. 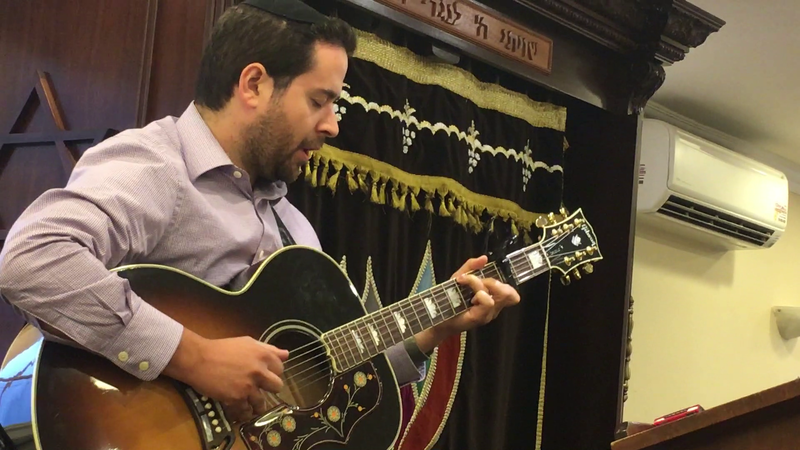 At the Beis Haknesses on Sunday, one of the grandchildren, Dr. Jonathan Lamm, sang Rabbi Lamm’s favorite song, V’Li’Yerushalayim Ircha, and many of those in attendance sang along.